DONATE TO KEEP OUR PROGRAMS GOING! Jaime Van Cleave, talking to 85 teachers as if it was something she had done her whole life. 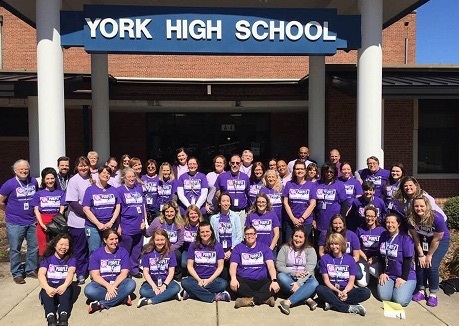 Jamie Van Cleave and her family were determined to have all of the schools in Yorktown trained about epilepsy. Jamie has had epilepsy since the first grade. Jamie excels academically, intellectually and physically. She is a great example how people with epilepsy "CAN". 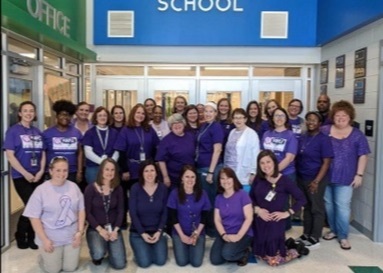 She is thankful for those individuals she has met on her journey that have shown her compassion, but she has struggled with many teachers and school administrators not understanding her condition and needs. Her first known seizure was at school and no one contacted her family for hours, until a single teacher intervened and alerted her parents. She has been laughed at (by students and a teacher) and pushes herself so that people know that she is smart and capable of anything, regardless of her diagnosis. She has even been accused of being possessed by demons due to her condition, by a person Jamie considered her closest friend. Jamie organized her first training on March 18. Supported by the Boyce family and their hero Bailey a training session was given by EFVA Executive Director Suzanne Bischoff. After the training, moving testimonials gave those in attendance an understanding of the complications related to epilepsy. Thanks to all for participating. 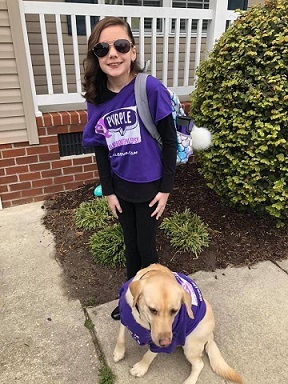 Bailey Boyce with her Seizure Alert dog. In Norfolk, Epilepsy Hero Olivia is a VIP in "DREAM" (Disability Rights, Education Activism, and Mentoring). DREAM is a national organization for and by college students with disabilities. 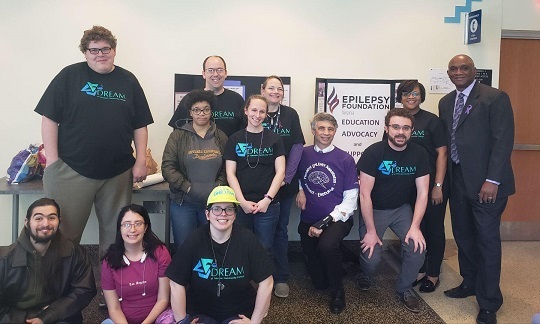 Olivia organized an awareness day about epilepsy with her DREAM team at Tidewater Community College (TCC) in Norfolk, VA. Here is hero Olivia with her team. Among the team members is Doug Foster, who co-hosts the local support group, and EFVA Consumer Services Representative Lowell Evans. Very impressive! 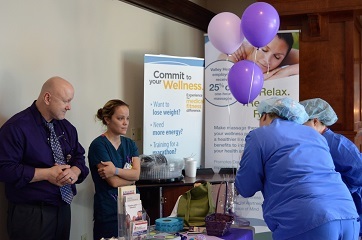 In Winchester, EFVA tagged on to a wellness fair with epilepsy. 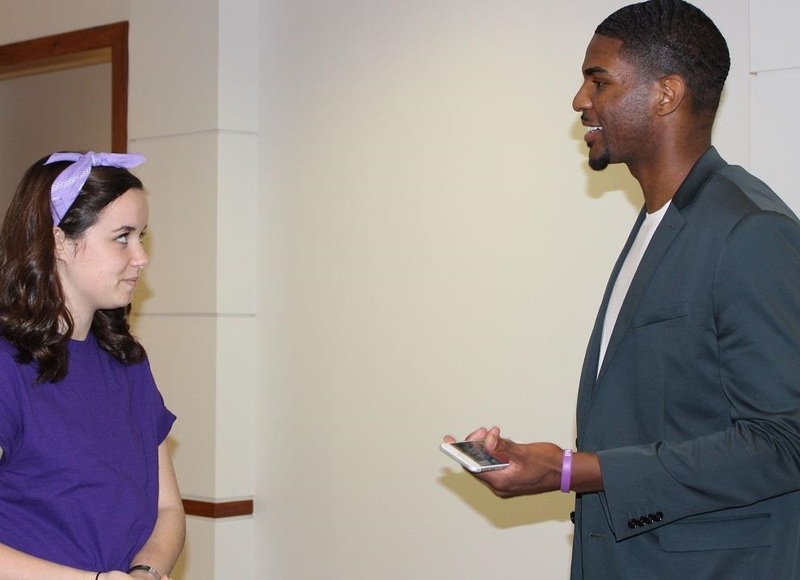 And in Charlottesville, former UVA basketball player Justice Bartley, and hero and student Emma Nargi, compare their epilepsy after they answered questions from an eager audience. Thanks to epilepsy heroes for alerting EFVA that there was no neurologist on the Department of Motor Vehicles Professional Advisory Board. 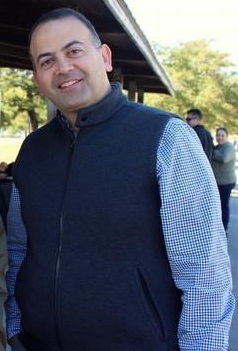 EFVA Professional Advisory Board Member Firas Beitinjaneh, MD, of Norfolk Neurology Consultants of Tidewater, PLLC, has agreed to serve and was appointed to the DMV Advisory Board by Governor Northam in February 2019. Thank you Governor Northam. 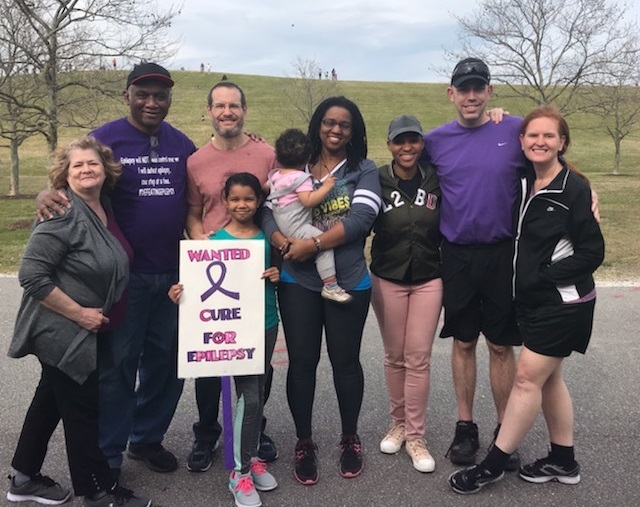 84,800 Virginians with epilepsy are in your debt. 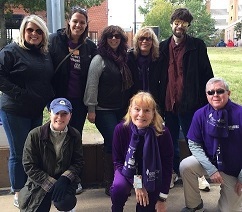 Fitness walks for epilepsy heroes are picking up. Lowell Evans does the Tidewater walks at Mount Trashmore, and staff of the main office in Charlottesville do the walks, starting in the parking lot of 560 Ray C. Hunt Drive. In Northern Virginia we meet at several locations, many in the Shenandoah National Park. Seizures are rarely triggered by exercise. Persons with controlled epilepsy should be stimulated to exercise. Scuba and skydiving are generally not recommended for PWE; Other risk sports are recommended with the necessary precautions. Physical exercise should be encouraged as a complementary therapy to improve comorbidities in PWE. For more information, go to epilepsyva.com/calendar. 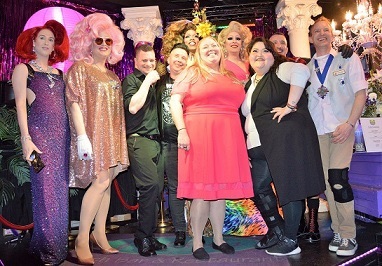 The Seizures Are A Drag event in Alexandria, Virginia, was a great success. The performers were in great shape (above) and epilepsy hero Marisa (blueish dress) spoke about her epilepsy and danced with the performers. We all missed Daniel Hayes. He had a seizure and could not be present. Thank you Daniel, Muffy, Gina, the Imperial Court of Washington, and AGLA for organizing this event! Also, we thank LivaNova for their support, and EISAI for pledging support! This event was a blast!! The planning for the 2019 Tour de Midnight bike ride is in full swing! The planning for this event begins almost the day after the lat ride has been completed! The planning meetings, lead by our incredible husband & wife team of Dennis and Missy Terry, have been well attended and very energetic. Some pretty neat ideas have been discussed about team competition, and how to handle those really impressive items that get donated to raise money for the EFVA. A block of rooms has already been set aside for riders and their families at the Marriott in Short Pump. Also, an additional block of rooms has been secured at the Hilton Garden Inn. They can be reached at www.richmondinnsbrook.hgi.com. The committee is working on securying more rooms at local hotels. So those of you who have already registered for the 2019 Tour de Midnight can now reserve your room(s). And for those of you who haven't registered, get to it! There is still time to get a discounted registration fee, but that ends April 29! And the VIP registrations are going fast, with only 8 left for the 50K, and only 5 left for the 100K! 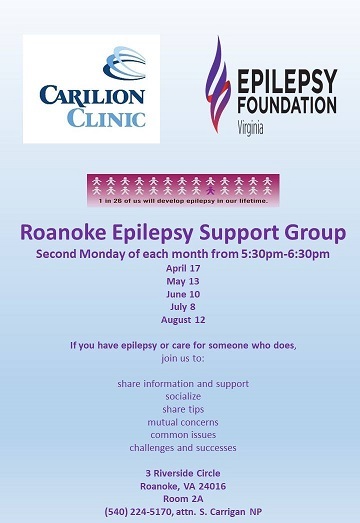 EFVA program supervisor and representatives from Carilion Roanoke are reviving the Roanoke support group. The meeting schedule is shown below. 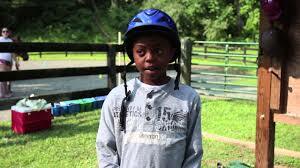 EFVA is again partnering with Camp Holiday Trails to enable our young epilepsy heroes to go to summer camp. EFVA trains the Camp Holiday Trails staff on epilepsy and donates to Camp Holiday Trails to engage children with epilepsy. REGISTER FOR EVENTS by following guidelines on our calendar. 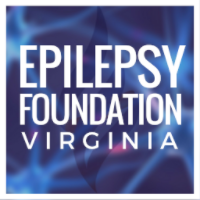 Go to www.epilepsyva.com/calendar for more information. Interested in EFVA Financial Documents? DONATE year end donations very welcome.